The Chapel of Orange is a gorgeous historical venue located in Orange, California. This image of the bride and her lovely bridesmaids in pink was photographed in front of the Chapel entrance. 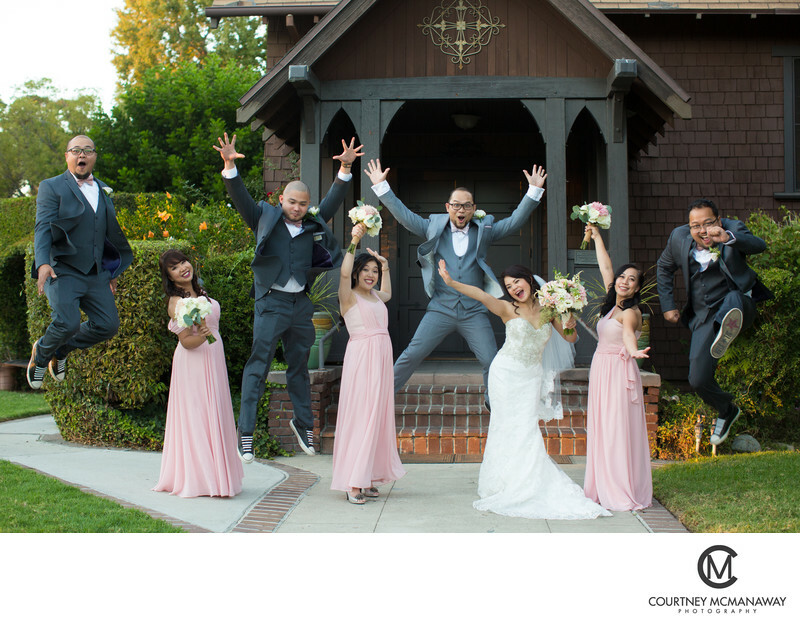 This was one of my favorite bridal parties because they laughed easily and that translated into amazing photos!